Colette Thomas and Iain Gordon (CSIRO), Scott Wooldridge (AIMS) and Paul Marshall (GBRMPA) have won Risk Management Paper of the Year (2012) from the Journal of Human and Ecological Risk Assessment (HERA). The paper, entitled “Balancing the trade-offs between ecological and economic risks for the Great Barrier Reef” came out of work carried out under the Marine and Tropical Sciences Research Facility, the fore-runner of the National Environmental Research Program. The authors provided a conceptual framework of the Great Barrier Reef social–ecological system identifying a range of possible socioeconomic tradeoffs necessary to maintain the resilience of the reef under climate change. The conceptual framework is the first step toward development of a functional analytical tool capable of helping policy-makers choose between alternative management actions. A HERA editorial board member commented, 'Development of a conceptual framework for the management of the Great Barrier Reef ecological system is of great utility for stakeholders and policy makers. The paper provides an excellent example of weighing benefits in decision-making for an iconic global wonder.' The award was based on two selection criteria: (i) degree of contribution to the field of risk analysis, and (ii) overall quality of writing. The award was announced in the May-June 2013 issue of HERA. James Cook University researchers are recording underwater sounds in the Great Barrier Reef to help track animal movements and human activities such as shipping. Researchers from James Cook University are leading a new project designed to ensure sustainable use and conservation of Australia’s sharks and rays. The Rudd Government has committed $930,000 to Indigenous organisations and Traditional Owners across Queensland to manage marine turtles, dugongs and sea-country. Under this second round of Caring for our Country grants administered in partnership with the Queensland Government, eight projects will be supported to undertake a range of activities including sea country planning, managing threats to species, leadership forums as well as raising sustainability awareness in the community. 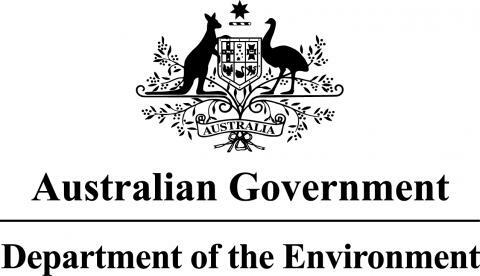 Federal Minister for the Environment, Heritage and Water Mark Butler said this round of funding was part of a broader commitment to assist Indigenous groups to sustainably manage sea country. "Indigenous Rangers across Queensland are doing great work protecting turtles and dugongs from threats such as marine debris and illegal hunting,” Mr Butler said. “Our continued support for Traditional Owners to manage their sea country is resulting in real environmental improvements and a better understanding of the sustainable use of resources in our Indigenous communities. “We’ve responded to feedback from Traditional Owners and developed a package that increases community engagement, knowledge sharing and the sustainable participation of Indigenous people in culturally important activities. Mr Butler said with rising seawater temperatures and an increase in extreme weather events due to climate change, programs to understand and protect Australian sea-country such as this were vital to the long-term future of our natural marine life. Experts from around the country are gathering in Townsville today to lead discussions about the rising number of sick and dying turtles on the Great Barrier Reef. For the past three years, there have been record numbers of turtle strandings on North Queensland beaches, highlighting concerns for the health of turtle populations right across Australia. The world’s primary forests have declined by almost four per cent in the past ten years with the vast majority of these losses in the Tropics.